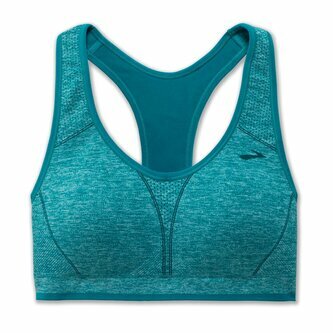 This Brooks Just Bra Sports Bra is crafted with thick straps and a crew neck. 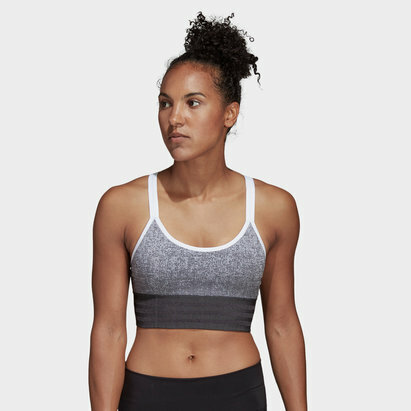 It features a racer back as well as an elasticated chest band for comfort and flat lock seams to prevent chafing. 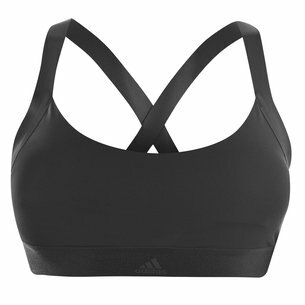 Padded cups allow the bra to provide medium support making it the perfect choice for running. 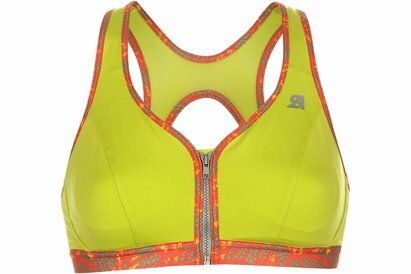 This bra is a lightweight construction in a block colour. It is designed with a printed logo and is complete with Brooks branding.